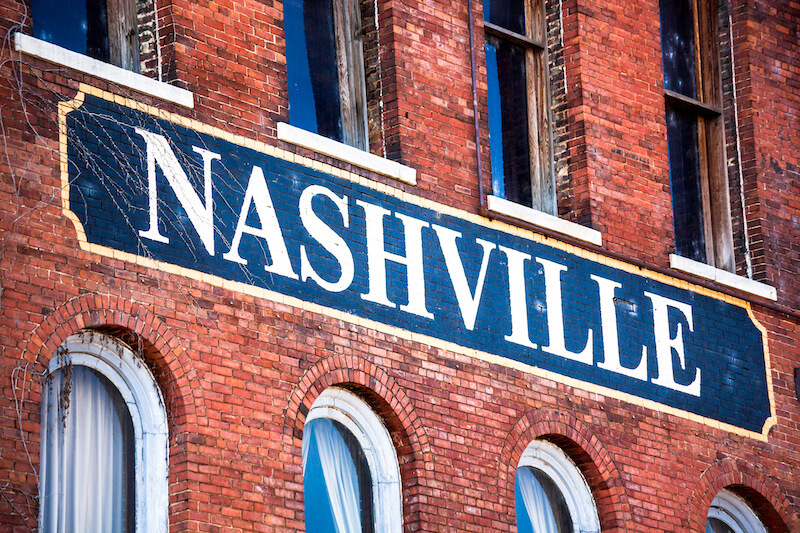 If you’re heading to Nashville for the week or weekend, we’ve got some recommendations on the best places to shop. Since we’re locals, we’ve tried to include a few hidden gems to make the experience a lot more fun! From Leiper’s Fork to Opry Mills, we’ve given you options to find the best souvenirs from your trip. Batch is a great place to pick up local Nashville products. The store opened in 2013 in the Nashville Farmers’ Market. A group of friends had an idea to start a subscription service that curated the best items crafted and sold right here in Nashville. Their idea was successful, and they launched their store. Make sure to check them out if you want something beautiful and authentic. A great place to grab some food and shop locally is the Nashville Farmers’ Market. Here you’ll find the freshest produce and artisanal foods. You can also shop from craft vendors for unique products. The Famers’ Market is open seven days a week from 8 am to 6 pm. You’ll find the biggest selection of vendors available on Saturdays. You couldn’t spend your money anywhere else and know that you are contributing to a great cause. Thistle Farms was created to help women who have survived trafficking, prostitution, and addiction find a second chance. They make it possible by selling some great product and giving some of the proceeds to charities that help these women. You can purchase beautiful body care, jewelry, apparel, and more. You can stop by The Green Hills Mall for a couple of things. One if you are interested in shopping some designer brands you’ll find them here. From Burberry to Coach, there are great high-end names mixed with more affordable options. The newly reopened Restoration Hardware is attached to the mall and a great place to wander around. There are multiple floors of beautiful home furnishings and a cafe on the bottom. It’s also a great place to spot a celebrity or two. The bargain hunter will love the flea market. It’s held at the Fairgrounds which provides a lot of space for vendors from across the nation to sell their wares. Antique dealers and collectors will have an opportunity to unite and haggle their best deal. It should be noted that the flea market is only open on the third weekend of every month. You can click here for dates. Having gone under some renovations. The Cool Springs Galleria has expanded over the past five years. You’ll find a lot of names like H&M, Sephora, GAP, Apple, and Macy’s. New dining has popped up to make the experience all-inclusive. You can sit down at the California Pizza Kitchen or Cheesecake Factory. Not as many local names are found in the Galleria, but if you want somewhere to spend some time out of the city, Cool Springs is a great place to do it. Cool Springs is a suburb of Franklin, and if you are down that way, you might want to take some time to head over to Downtown Franklin. It’s a quaint little area with lots of shopping and dining. You’ll find more locally owned boutiques, cafes, and dining than Cool Springs Mall if that is more your focus. It’s very popular on weekends, and most of the parking is paid. But, the trip is well worth it. Residents love their town so much that they have voted it America’s Favorite Main Street. If a day out in the beautiful countryside is calling your name, head on down to Leiper’s Fork. A hop, skip, and a jump away from the Natchez’s Trace, you can head down for a quick hike then stop by their downtown strip. Have breakfast at The Country Boy. You’re guaranteed to have the best biscuits, gravy, and service. Next, browse through some antiques at the various antique shops. You also have boutiques and local artist galleries. Stick around and check out the distillery for a chance to sip on Williamson County’s finest bourbon. Moving back into the Nashville area, we have the Gulch. It backs up to downtown and is one of the fastest growing neighborhoods. Shops in this area are a mixed bag but all very on trend. You have Urban Outfitters and Two Old Hippies with eclectic clothing and accessories. Local boutique chain Blush moved into the area. Dabble in some country traditions with a visit to Carter Vintage Guitars and Nashville Boot Co. Plenty to see and do on a beautiful day. According to their website, Opry Mills is Nashville’s “largest outlet and value retail destination.” Over 200 stores are situated within the mall like J.Crew Factory, Vera Bradley, Nike, and H&M. But, shopping is not all you get. Dave & Busters is a great place for some games, Regal Cinemas for a movie, and then Madam Tussauds. We should mention you’ll find us, the Tin Cup, there too! We’re close to the RainForest Cafe entrance and next door to Master Cuts. Stop by and visit for some locally roasted and brewed coffee while you wander around shopping! This entry was posted in Guides, Nashville and tagged Nashville coffee roasters, Nashville Guide, Nashville shopping.